Pregnant women are to be vaccinated against flu for the first time this year! Everybody else should of course also avoid the flu vaccine like the plague. The British Government is finally carrying out an investigation into the mystery deaths of around 300 babies born to military families in Cyprus in the 1960s, amid suspicions of a high-level cover-up. The deaths of so many infants have never been adequately explained, with speculation that they may have been caused by poor hospital hygiene or an outbreak of typhoid, polio , cholera or meningitis. Some former servicemen believe the blame lies with the cocktail of inoculations they were given prior to being stationed in Cyprus, or that the deaths were linked to exposure to radioactive military material. The babies died in a military hospital in Dhekelia, one of the two sovereign bases, along with Akrotiri, which Britain retained after Cyprus was granted independence in 1960 after decades of colonial rule. In 1964 alone, around 56 babies died, some of them just a day old. They are buried in a British military cemetery there. After decades in which parents claimed the truth of the saga was hushed up by British military authorities, the Ministry of Defence has launched an investigation into the deaths. It came after a former serviceman, Mike Pitcher, who served on the island with the RAF from 1961 to 1963, lobbied his local MP to push for an inquiry. His wife’s baby girl was stillborn when it was delivered in 1962 and he believes the deaths may be connected to medical inoculations given to British military personnel. “It was compulsory to undergo a large concoction of inoculations, maybe six or seven, for things like yellow fever and typhoid,” Mr Pitcher, 71, whose wife subsequently had three healthy children, told the Daily Telegraph yesterday. “I wouldn’t like to say whether there has been an official cover-up or not. 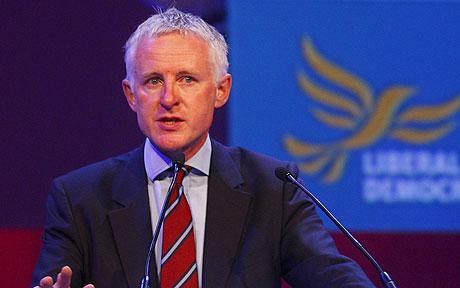 All we want is some form of closure, and to receive a reasonable answer as to why all these babies died.” The results of the three-month investigation are expected to be presented to Norman Lamb, the Liberal Democrat MP for North Norfolk, in the next two weeks. “The Ministry of Defence is investigating the number of infant deaths in Cyprus in the early to mid-1960s,” said a spokeswoman. “As part of this investigation, we are examining the completeness and accuracy of the births and deaths registration data.” An independent expert, Prof Stephen Evans of the London School of Hygiene and Tropical Medicine, has analysed the data to determine if the death rate was higher than normal on the base. I was born at Dhekelia military base in 1962, do I consider myself one of the fortunate survivors.